Pic n Mix Stand Hire London - Sweet Tooth Anyone? Take your guests on a bit of retro time-travel with our brand new classic old-school style Pic ‘n’ Mix stand. With our Sweet Stand Hire you’ll get 20 tubs full of your all-time favourite sweets. Each container holds 3kg giving a massive total of 60kg worth of sweets. This huge amount of sweets caters for up to 600 people. Our retro Sweet Stands are perfect for all sorts of special occasion: birthday celebrations or weddings, to corporate events and baby showers. All of our sweets are fresh and never opened before we get to your event. We can personalise the Sweet Stand to meet your needs – with a Happy Birthday, Just Married or Congratulations sign at the bottom of the stand or we can exclusively design a tailor-made sign just for you! For a little extra, why not have the happy couple’s names on the Sweet Stand or the birthday boy or girl? There are around 100 different sweets to choose from to put in your Sweet Stand. We can select sweet choices at random on your behalf, or you can choose your ultimate childhood favourites! When you choose Pic ‘N’ Mix Hire London you’ll get a retro Sweet Stand that’ll be a brilliant talking point at your event. The package includes Pic ‘n’ Mix bags and 8 retro style scoops. You’ll get 60kg of sweets – plenty for most events, and any sweets left over are yours to keep. Yum! 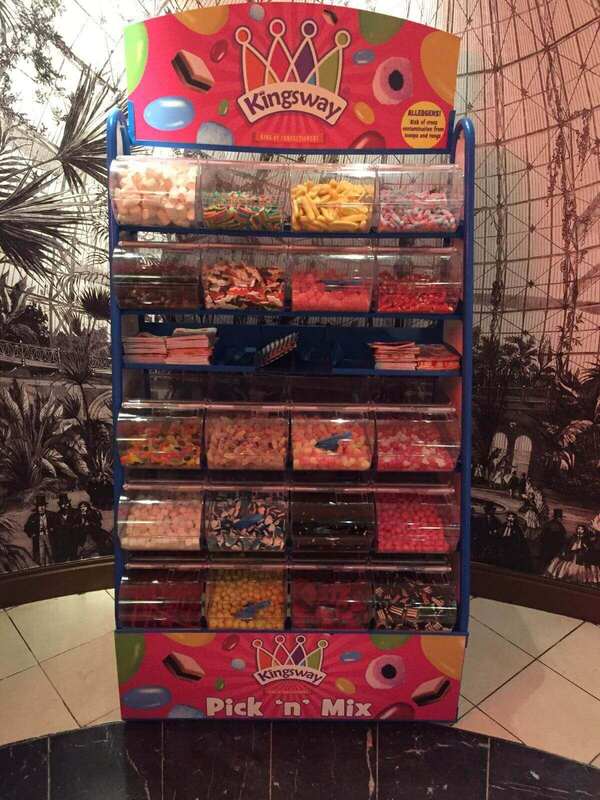 We will deliver the stand to your venue and set up in plenty of time for your event, all you and your guests need to do is enjoy the sweets – exactly like you did as a kid! The sweet choices are all yours, just pick from our list! The pick ‘n’ mix stand has 20 compartments, each holding up to 3kg of sweets! So you’ll have a whopping 60kg of sweets to go around! Includes set up, delivery, and collection. Caters for anywhere between 100 – 600 guests. Any sweets left over at the end of the event are yours to keep! Includes pick ‘n’ mix bags and 8 scoops. We can personalise the Retro Sweet Stand to make your event that little bit more special or we can include your business logo on bags and the stand itself. All the panels can be branded including the top header, central fold, lower fold and both side panels. We can also brand the sweet bags. Contact us for pricing and to discuss your requirements. We also have Halal and Vegetarian sweets available, just say the word! Make your occasion a memorable one. Contact us now for Pic N Mix Stand rental prices. How long can I book the Sweet Stand Hire for? We can hire our Pic ‘n’ Mix Stands out daily, weekly or monthly, with or without corporate branding for your big events. We are flexible and can tailor a package to suit your event needs, just get in touch with your requirements! How long do you need to set up and take down the Sweet Stand? We normally allow half an hour for setup and the same for packing away. The hiring time begins from when you start using the Sweet Stand. I need the Sweet Stand Hire set up one or two hours before the actual event begins, is that ok? How many sweets will we get with your Sweet Stand Hire? The pic ‘n’ mix stand has 20 compartments, each holding up to 3kg of sweets! So you’ll have a whopping 60kg of sweets to go around! What sweets will you provide? 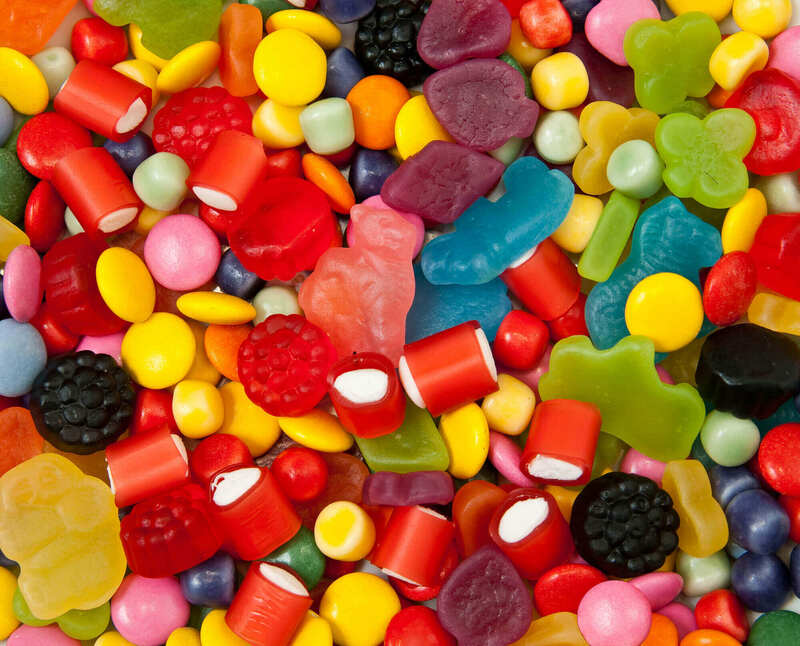 Our most popular sweets include: Fried Eggs, Cola Bottles, Midget Gems, Chocolate Mice, Blue and Pink Bottles, Foam Bananas, Pink Shrimps, Fizzy Snakes, Jelly Babies, Twin Cherries, Dolly Mixtures, Pint Pots, Jelly Dolphins and Lollipops! 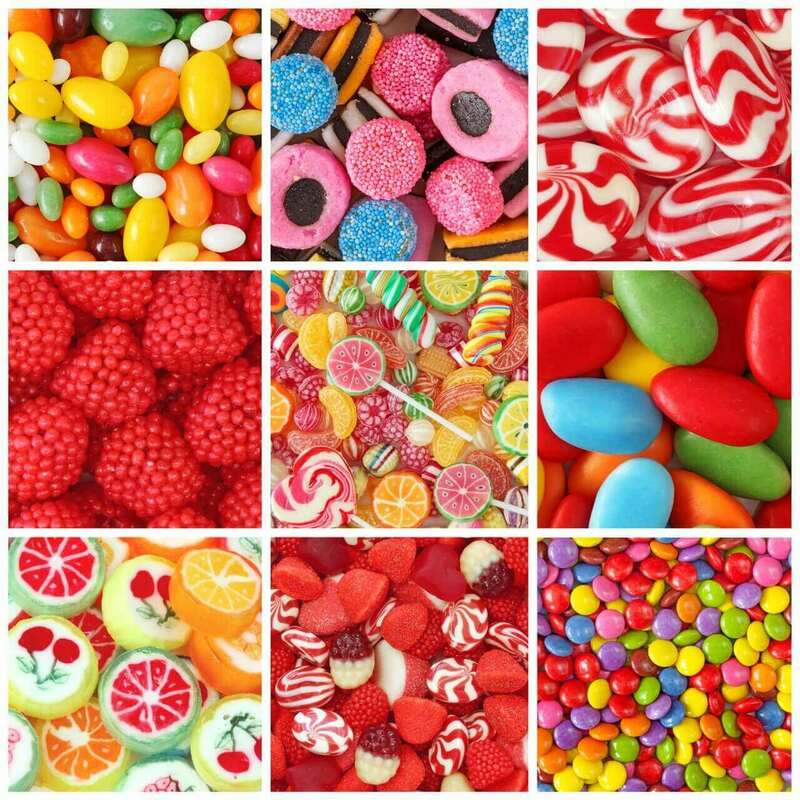 But you can select your own favourites from our list of 100 sweets! How big is the Sweet Stand and how much space is needed? Our Pic n’ Mix Stand is space friendy, and we only need an area of 1.2m wide X 1.5m deep X 2.0m high. The stands look great against a wall.